This particular painting hung in the Manchester Art Gallery . Why it was removed is unclear. 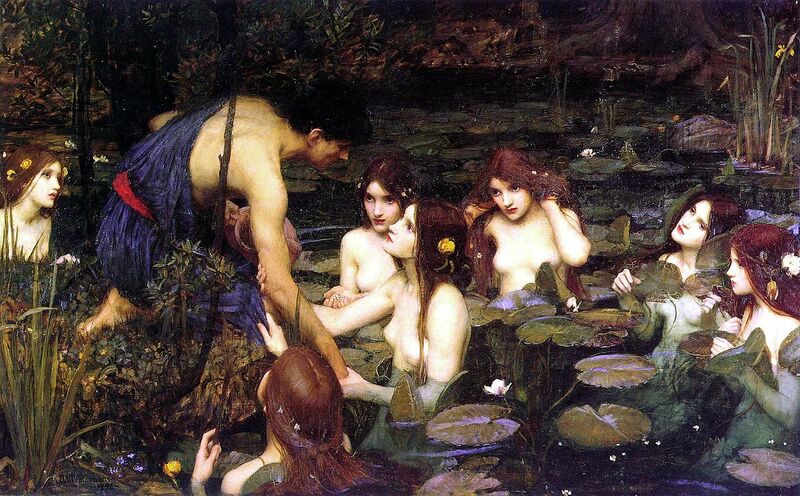 To anyone familiar with the myth, this is the second before the nymphs seize Hylas and drag him to his doom.